This entry was posted in Coloring Page, Disciples, Jesus, Miracles, Peter, Printables and tagged bible crafts, catch of fish, color, coloring, coloring page, craft, crafts, fish, Jesus, miracle, miraculous catch of fish, Peter, print out, printable. This entry was posted in Coloring Page, Lot, Printables and tagged Abraham, bible crafts, color, coloring page, craft, crafts, fire, Gomorrah, Lot, print out, printable, Sodom. This entry was posted in Coloring Page, Jonah, Printables and tagged bible crafts, color, coloring page, craft, crafts, fish, Jonah, print out, printable, whale. Kids like to paint, and more if they get to use their hands. 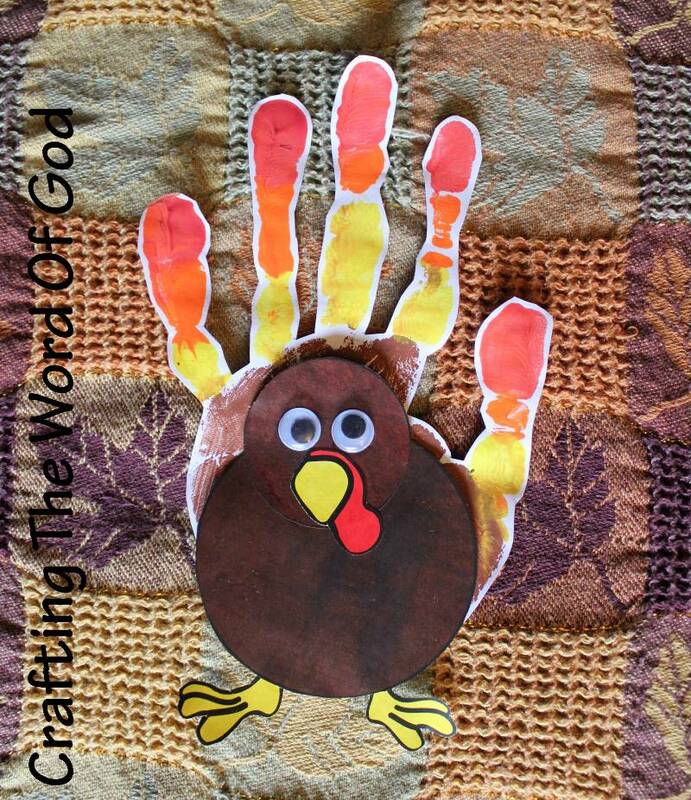 So put that enthusiasm to work by using their little hands to make this hand turkey. Your kids will love making this adorable hand turkey for their Thanksgiving craft. Not only is this craft simple to make, but your kids will enjoy making it as well. Add paint to your hand. The base should be brown and add stripes of yellow, red and orange to your fingers. Place your hand on a piece of white paper. Allow the paint to dry. Once the paint is dried, cut out the hand. Glue the smaller circle to the larger circle. Glue on the feet and the beak. Glue the turkey body to the painted, cut out hand. Finish the turkey by gluing on googly eyes or two small black circles. This entry was posted in Holiday Crafts, Thanksgiving and tagged craft, feathers, hand, holiday, print out, thanksgiving, turkey. This is a simple, but cute Thanksgiving craft. Glue it onto a sheet of brown construction paper, decorate it with fallen leaves and it can be used as a place mat. Glue the wings onto the body of the turkey. Glue the body onto the tail feathers and finally add on the legs. 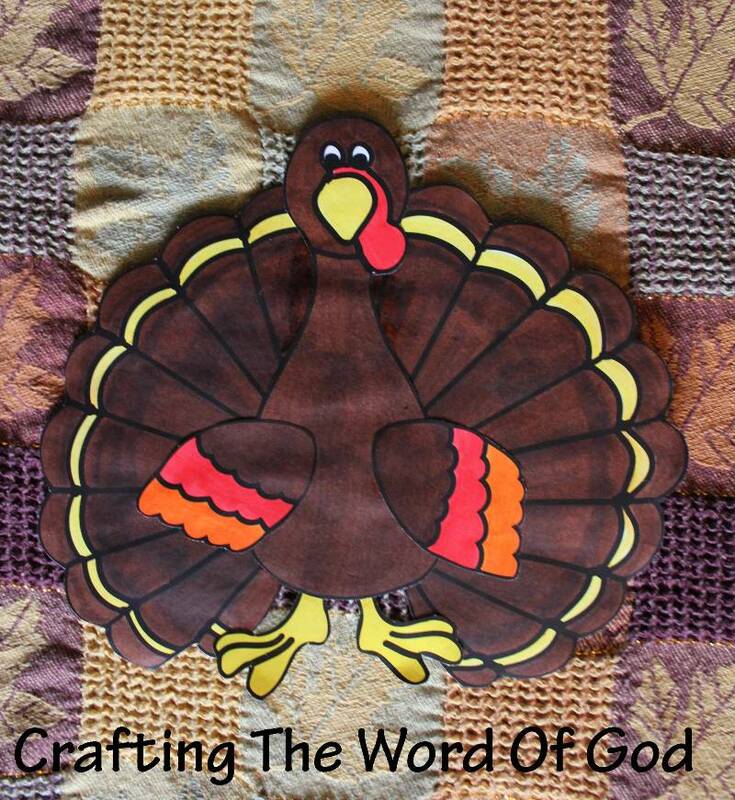 This entry was posted in Holiday Crafts, Thanksgiving and tagged craft, holiday, print out, thanksgiving, turkey. This is a quick but fun game to play with your kiddos. Print out the sheet and give one to each of your kids. (Template) In order to play this game you will also need a single dice. You can be creative and use a jumbo foam dice. 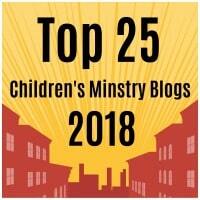 Each child will take a turn rolling the dice. Whatever number the dice lands on, the child that rolled the dice has to color in that number on their sheet (just one number not all three of the same number). If they land on a number that all three spots have been colored in the next player will take his turn. The winner of the game is the child that can color in all of their cross first. Everyone has a couple of wild dice throwers in their family or class. Every time they throw the dice it seams to land all over the place, except the board. I found this trick on Pinterest a little while ago. 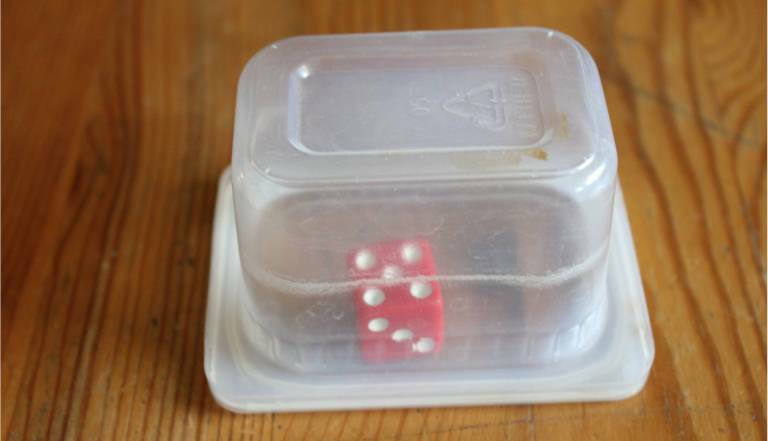 Just take any small container (I am using an empty Gerber baby food container), and place your dice inside. 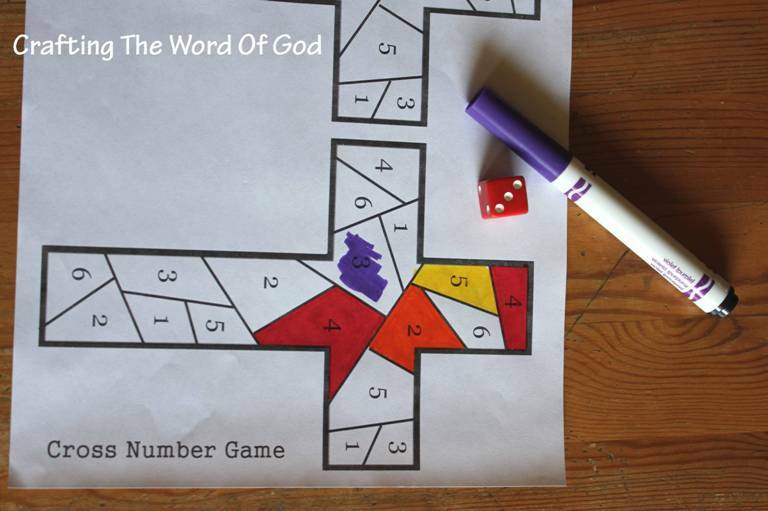 This entry was posted in Death And Resurrection, Easter, Games, Holiday Crafts, Jesus, NT Crafts, Printables and tagged bible crafts, craft, crafts, cross, game, number, print out.